Naveen helped Delhi open their account with a successful raid but Gujarat won the next four points to open up a three point lead. 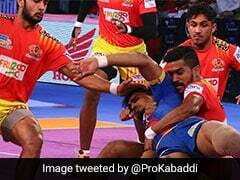 Dabang Delhi came back from the dead to eke out a nerve-wracking 32-32 draw against runners up Gujarat Fortunegiants on the third day of the Pro Kabaddi League (PKL) at the packed Jawaharlal Nehru Indoor Stadium here on Tuesday. Trailing 12-17 at halftime, Delhi rode substitute Chandran Ranjit's 10 points to forge a comeback with Naveen Kumar also contributing (five points). For Gujarat, Sachin (seven points), Rohit Gulia (five points), K. Prapanjan (four points) and Ruturaj Koravi (four points) did well but in the end failed to edge past their dogged opponents. The ever-dependable former Iran captain Meraj Sheykh also made an unsuccessful raid as Delhi further fell behind to finally get all out and trail by 3-9. Delhi revived their fortunes post the all out with substitute Chandran Ranjit, who replaced Sheykh in the 12th minute raiding sharply and their vaunted defence also standing tall. At the halfway mark, Gujarat rode on their bright start with Rohit Gulia and K.Prapanjan scoring four points each to put their side in front by 17-12. 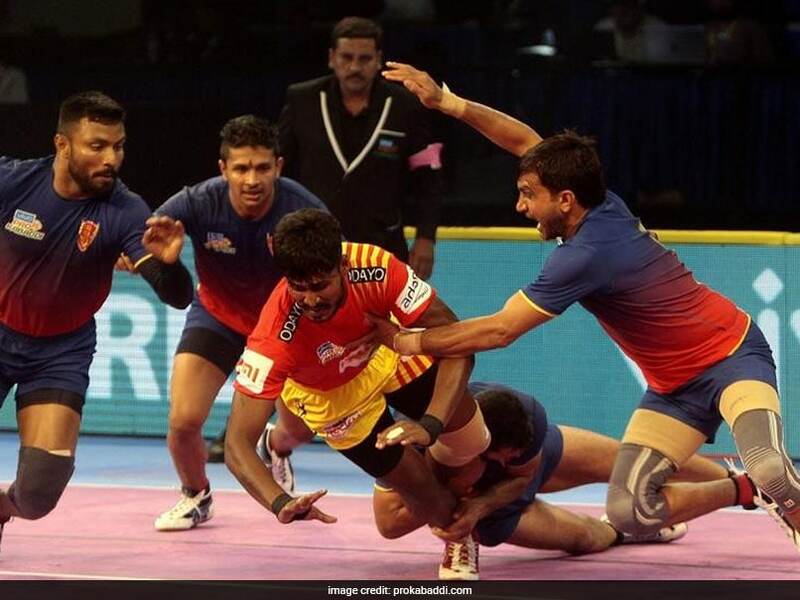 After the restart, Gujarat rode defender Parvesh Bhainswal's two crucial tackles to maintain the lead but Delhi never threw in the towel and were rewarded for their persistence as they inflicted an all out on their rivals to bring down the gap to 27-29. From there on, they levelled the score for the first time in the game at 29-29 and even took the lead at 32-31 riding a Pawan Kadian (three points) successful raid. Mahendra Rajput ensured Gujarat did not face the ignominy of losing the tie despite leading for large parts with a successful raid as the game ended 32-32. Last season, Gujarat -- who were the surprise package -- defeated Delhi in all three encounters. Except their last game, the other two were decided by close margins of less than 7 points. Gujarat ended up being the runners-up after topping the Zone A standings in the league stage, while Delhi finished at the bottom (6th) of the Zone A league table.